Maryland lawmakers are weighing a report by state budget analysts that recommends ending the state's tax credit for film productions as scheduled in 2016. The report presented on Tuesday by the nonpartisan Department of Legislative Services notes that states are fiercely competing with each other to attract such productions. The issue brought actor Kevin Spacey to Annapolis earlier this year to greet lawmakers at a local wine bar and help steer state aid to keep the show "House of Cards'' filming in the state. Film production incentives have gained popularity in the past decade. Thirty-seven states and the District of Columbia offered them this year. Maryland has provided $62.5 million in tax credits between fiscal years 2012 and 2016, mostly for two shows, "House of Cards'' and the HBO program "VEEP.'' However, the report says economic development generated by film productions is of short duration, because they don't create long-term employment. Supporters of the tax credit say the report failed to consider many indirect benefits from business generated by film productions in Maryland. The cited materials used to build sets, like lumber and paint, as well as hotel room and car rentals. Hannah Byron, assistant secretary for the Division of Tourism, Film and the Arts within the Maryland Department of Business and Economic Develop, said the program has not only sparked thousands of jobs, but has helped small businesses that benefit from the presence of film crews. It has made a vital difference for some small businesses, she said. "It has really made the difference between keeping their doors open or closing them,'' Byron told a panel of lawmakers who heard testimony on the report Tuesday. The debate over how much the state should invest to keep "House of Cards'' in Maryland caused heartburn among lawmakers last year. The company that owns the series threatened to move operations out of Maryland, if it didn't receive adequate tax credits. Lawmakers wrangled over the issue in the closing minutes of this year's legislative session. The report by Maryland analysts highlights the company's threat to leave as an example of the uncertainty of returns for investing millions in tax credits. "States then increase incentives in an attempt to keep productions, or to lure them from other states, which may not be in the best economic interests of the taxpayers in those states,'' the report said. Some Maryland lawmakers question why the film industry should get special tax treatment when many industries are struggling. "All other things aside, I think it should be something we really revisit,'' said Del. Andrew Serafini, R-Washington. 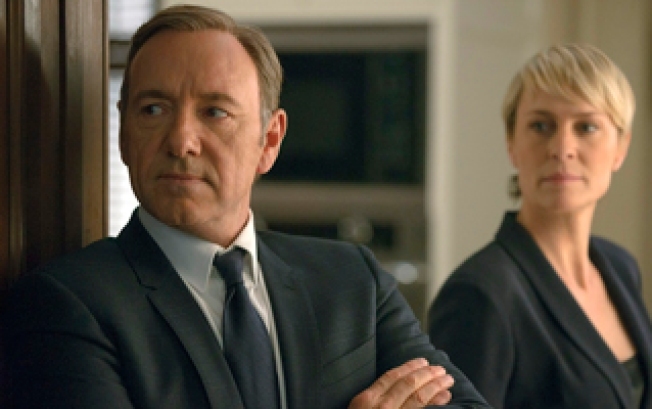 "House of Cards'' has filmed its third season in Maryland. Senate President Thomas V. Mike Miller, D-Calvert, said he would like to see the show continue to film in Maryland, but it will be up to fiscal committees in the Legislature to determine how much the state is willing to offer, as Maryland competes with other states. "I'd like there to be a season number four and a season number five, all filmed in the state of Maryland,'' Miller said.